This post is inspired by, but NOT SPONSORED by Glamour's Women of the Year Awards. Ƹ̵̡Ӝ̵̨̄Ʒ - Remember when Kissing actually meant something? Ƹ̵̡Ӝ̵̨̄Ʒ - When was the last time a kiss took your breath away? Ƹ̵̡Ӝ̵̨̄Ʒ - When was the last time talking to your crush gave you butterflies in your stomach? I rarely get 'event envy' - I attend amazing ones here in New York City all the time, but I truly wish I could have been there to see/hear her say it. I would have loved to have witnessed the reactions for myself. 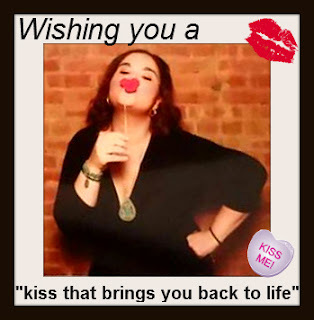 I am writing this and listening to Evanesence "Bring Me to Life" and contemplating how that simple yet boldly powerful statement made by Gwen Stefani reminds of a time when kissing and romance was a bit less complex, was *almost* (and I do say almost)... easier. I want to jokingly say that Blake Shelton must be a damn good kisser, but I get what she means by it. But as a single gal in New York City who is not into kissing every random frog that comes hopping along my path (hoping one of them might be that elusive Prince), I wonder if I will ever truly experience a "Kiss that Brings Me Back to Life" - I vaguely remember butterflies in my stomach, but don't think I have yet had a kiss that brought me back to life or helped me 'get my life' either. I could also write a book on weird dating experiences in the city that never sleeps! But that my dear butterflies is a story for another day. Readers Sound Off: Have you ever experienced a 'Kiss that brought you back to life'? Do you think a kiss can really do all that? A kiss can absolutely do that. The first kiss I had with my GF was the last kiss I had with anyone else. We've been together for 18 years, now. I don't know if I've ever experienced a kiss that brought me back to life, but the first kisses that my babies gave me were truly magical. Made Daddy have to step up his kissing game! This is a great post! I agree that kissing can make or break a day! A kiss the life force exchanged between two people! I love Blake Shelton and I am so happy that things are working out for him and Gwen Stefani. I have been married 21 years and it still takes my breath away when I kiss my husband. @Catherine 21 years? That is Fantastic! You definitely give me hope. I think it's great they found each other to hold on to, and that is certainly an amazing thing to say, I hope he lives up to those words. I met my husband during a rough time in my life and his kiss certainly offered comfort. Ten years later and he still gives me butterflies! I'm glad you both found one another! A kiss can surely turn my day around. 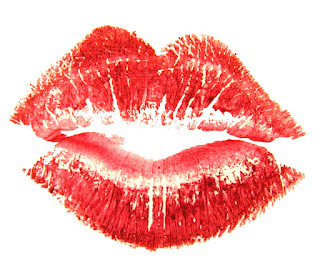 I have been with my husband for over 11 years and a kiss from him will always brighten my day! I always forget that Gwen Stefani and Blake Shelton are a thing! They must really love each other! @Pam - I think a big part of it is they were both going through the process of a divorce at the same time and I will bet that also bonded them even more. Oh my, I'm not sure about the kissing back to life. But I get what she meant. I agree that kissing can make a difference! A kiss the bond shared between two people! @Ckrusch It's definitely a part of what draws people together physically that's for sure. I Don't think I have had a kiss that brought me back to life. Yes, I agree a kiss can do all that. I think the first kiss from each of my daughters have been the ones to bring me back to life. But I still remember my first kiss with my husband. I think that's absolutely beautiful, all my friends with children tell me the same thing. I still love kissing my wife. We don't kiss often, but when we do, it is heated. My husband still gives me butterflies. I need to kiss him more. Thank you for the reminder. I love to listen to Evanescence. I kiss can do many wonderful things to our brain. I think it is important to keep kissing alive in a relationship. What an interesting topic! Kisses definitely can do that - it's very interesting to think about! @Adriana - As a single woman, the idea of it instantly resonated when I heard her say it. I couldn't help but want to explore the topic and find out what people think when they hear it. It actually dovetails nicely with a piece I wrote about how difficult it is to accept a compliment. As far as compliments go, hers was certainly quite a compliment! I love this quote. My husband always takes my breath away when he kisses me. @S. Meredith - Have you heard the Berlin song by the same name? I'm glad she's found the happiness. It's an awfully sweet sentiment. Makes it sound like old Hollywood movies where a kiss was the answer for everything. @Melanie - Actually it did make me think of that as well. @Silvia Same here. For me, it definitely still means something. @Eileen - That is so true and such a great point! A kiss can certainly make a difference. I have been with my husband for almost 17 years and still feel the magic. Go us! Great post! Kissing was making my day so happy, I've been married for 10 years and I'm still inlove. A kiss that can bring me back to life sounds amazing! I literally had a smile on my face the entire time reading this. A kiss can be a powerful thing. Such a deep thought on kissing. I never really sat and thought about it, lol. I definitely think that kissing can do that. I've been married 12 years and I still get those gutted butterflies when I kiss my hubby. Love him!! I think a kiss can do all that! A kiss from the right person can bring you back to life. I completely believe a kiss can bring someone back to life. So oftern we get set in a routine and forget to live. All it could take is that one kiss to ignite a spark and you will remember what you are living for. I've always liked Gwen's voice and as a person ever since the 90's. I've had only one kiss that changed my life and it's with my special someone.